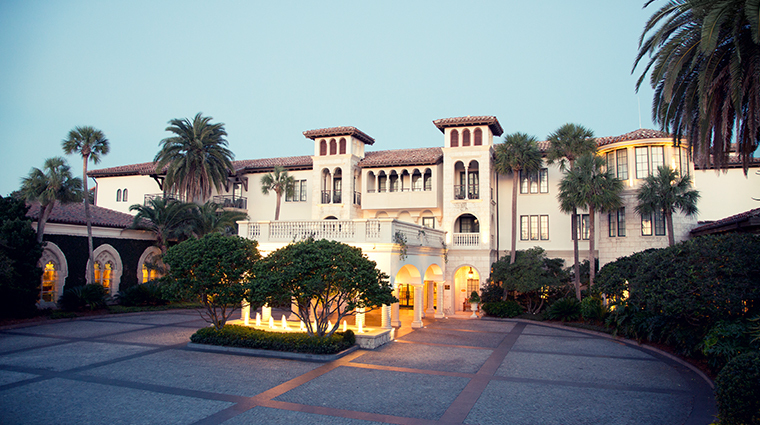 Steeped in Southern tradition, The Cloister is different from other hotels because of its secluded coastal Georgia location, elegant Spanish-revival architecture and top-notch amenities. Noted architect Addison Mizner — who was responsible for building up Palm Beach — created the original Forbes Travel Guide Five-Star hotel. 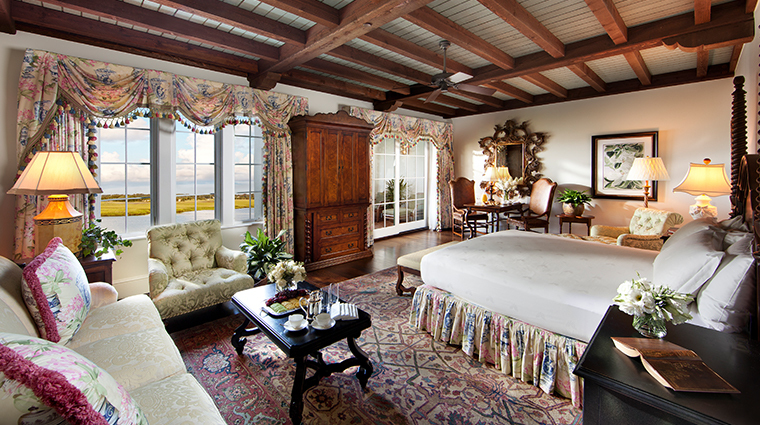 You’ll still see the lovely Mediterranean details, like Turkish rugs and wood-beam ceilings, in the rooms. The many restaurants at the resort include a casual raw bar and grill, where after-beach oysters and cocktails are the specialty; the fine-dining Georgian Room is an alluring space where dressed up takes on fresh Southern-influenced recipes are served in a grand, formal dining room. This Forbes Travel Guide Five-Star hotel offers a large variety of activities for all ages and interests, from kayaking and taking sunset cruises on the Sea Island Explorer to swimming on five miles of private beach and horseback riding on the sand. 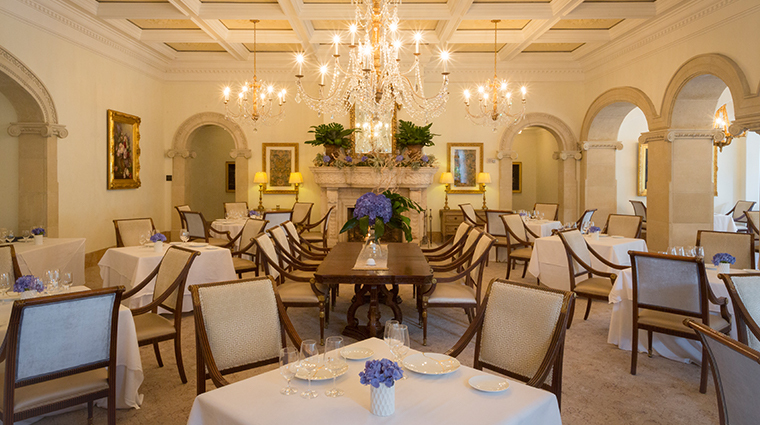 Don't miss a meal in the sumptuous Georgian Room, the state's only Five-Star restaurant. Sports lovers can use three squash courts, six Har-Tru tennis courts, three swimming pools, a basketball court, and a shooting school. You won’t want to leave the garden atrium relaxation area of the splendid Spa at Sea Island, where you’ll kick back under trees, natural stone, and a man-made creek. Georgia’s sole Forbes Travel Guide Five-Star spa, it also offers a waterfall circular whirlpool overlooking the outdoor labyrinth, secluded outdoor hot tubs, a quiet indoor lap pool and an on-staff nutritionist. The Cloister is family-friendly. Between the game room, six swimming pools, beachfront activities and water sports, youngsters will have no trouble finding something to keep them busy throughout the day, especially with the excellent Camp Cloister club. The Sea Island Beach Club is another great lodging option for families who want direct access to the resort's beautiful sandy beaches. 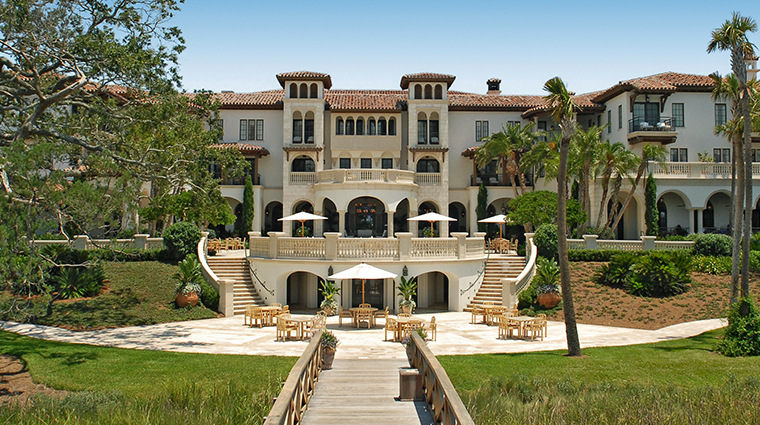 The Cloister's sister property, The Lodge at Sea Island Golf Club, is a quick drive away and delivers the same polished service and style with access to Sea Island's legendary golf courses. We think the best of the time of the year to visit The Cloister is between April and June. That’s when the weather is just about perfect at the Sea Island hotel. Though you’ll be able to cool off in six pools (including two for adults only) or take a dip in the ocean from its five miles of private beach, temperatures can be very warm come July and August. Though you’re unlikely to run into any blizzards in the coastal Georgia locale, it does get somewhat chilly from December to February, with temperatures dropping into the 40s at night. There are a few room options to choose from when booking your stay at The Cloister, but the River View rooms are the standard units in the main building and wings of the Forbes Travel Guide Five-Star hotel. In these rooms, traditional mahogany furniture is elegantly accented by the handmade Turkish rugs. 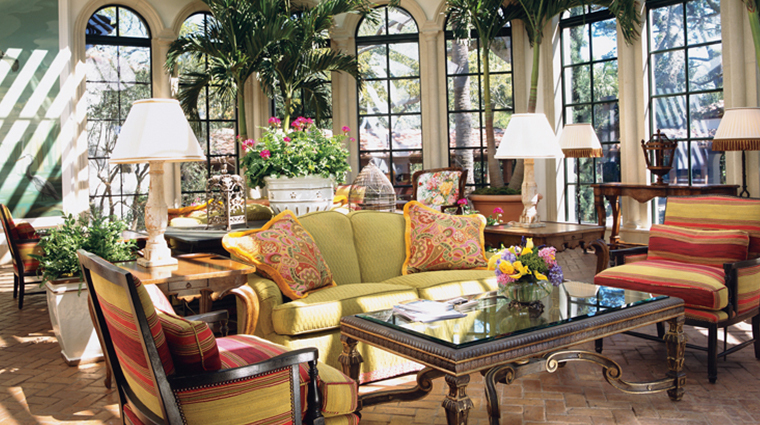 While the exact décor differs from unit to unit, most of the drapes and fabrics are floral with bold colors. Most of the rooms have a terrace complete with chairs and chaise lounges, and the bathrooms in the standard rooms are generously large. With a private dressing room, deep soaking tub and a glass-enclosed shower, you’ll be sure to get a whole lot for your buck. Many of the standard rooms in the main building of the Sea Island hotel also come equipped with a charming view, where you can overlook the Black Banks River. The standard rooms at The Sea Island Beach Club are similar to the river-view rooms, but inevitably have a different vista. These rooms are located right near the pool area and look out onto the Atlantic Ocean or the pools. Georgian Room is a destination restaurant, with grand details like crystal chandeliers and stately white pillars. The décor and the Southern take on modern American cuisine make it a great special-occasion spot. Chef de cuisine Aaron Bellizzi’s tasting menus are always a treat, so while you can order à la carte, we recommend splurging on the five-course chef’s tasting menu ($125 per person). The relaxed River Bar is a cozy, rustic spot overlooking Black Banks River with wood-topped tables and dimly lit wood chandeliers, this is a great place to grab a cocktail or dishes like cheeseburgers, black sea bass with asparagus and chickpea cassoulet, or a bavette of beef. Southern Tide, located at The Sea Island Beach Club, is a casual, all-day dining spot serving seafood, shellfish and Southern cuisine. Families come here for a convenient lunch after a day at the pool or beach, since the restaurant is only a few feet away from both. Tuscan trattoria Tavola takes up a beautiful space overlooking the Black Banks River. Try the hand-tossed, wood-fired pizzas, like the primavera, a vegetarian pie with a pesto sauce base and thin zucchini slices, heirloom tomato and spoonfuls of goat cheese that holds its own against the meaty options. The easiest way to get to The Cloister is to fly into Savannah/Hilton Head International Airport, which is about 90 minutes from the Sea Island hotel. After leaving the airport, you’ll get on I-95 South. Take this to Exit 38 to get on GA 25 South for five miles. Then you will turn left onto FJ Torras Causeway, which brings you within several miles of the resort. Follow signs to Sea Island, where you’ll check in at the security gate and let them know you are a guest at The Cloister. Delta flies into Brunswick Golden Isles Airport, which is just 30 minutes from the Forbes Travel Guide Five-Star hotel. There is also a private airport on St. Simons Island.